The General Education Revision Task Force will be meeting with faculty, staff, and student groups this semester to discuss how to revise UNCG’s General Education Program. The decision to revise the Program was made following a Self-Study conducted in 2017-2018. The Task Force will be working on a proposal to submit to Faculty Senate by March 1, 2019, and the Senate will deliberate and decide on that proposal by the end of the spring semester. November 15 (9 – 11 am). The Faculty Senate is also sponsoring a Faculty Forum on General Education revision on October 17 (3 – 5 pm). All three forums will be held in the Virginia Dare Room of the Alumni House. The Task Force wants to ground its General Education Revision proposal on the input received from the University community during these fall conversations, so everyone is encouraged to engage with this process and offer their opinions and suggestions for the Task Force to consider. For additional information, contact the Task Force’s co-chairs, Chuck Bolton ccbolton@uncg.edu, and Alice Haddy aehaddy@uncg.edu. You are invited to participate in the “Applying the Quality Matters Rubric” face-to-face, 1-day workshop at UNCG, which will be taught by certified Quality Matters instructor Dr. Racheal Brooks of NCCU. UNCG Online has organized this workshop for faculty and staff. Materials and lunch will be provided. There is no cost to you. Faculty and staff are welcome, especially those who want to learn how to apply the QM rubric to an online course and may be new to Quality Matters. The day-long workshop will be from 9 a.m. until 4:30 p.m., with lunch provided by Jason’s Deli from 12:15-1:15 p.m. An ordering form for lunch will be emailed to participants who register to attend the workshop. Register on https://www.qmprogram.org/ by Sept 20. We can accommodate up to 30 participants. Use these registration instructions. When registering, you will see multiple sessions scheduled; be sure to select the one dated “09/28/2018” to be held at the University of North Carolina at Greensboro as shown below. Additionally, if the institution is listed more than once in the system, you must ensure your affiliation is with “University of North Carolina at Greensboro” and not “UNCG.” Otherwise, you will not see the training listed. The project requests Greensboro Parks and Recreation Department (GPRD) to hire a graduate assistant (GA) through the UNC Greensboro’s Department of Community and Therapeutic Recreation (CTR). This GA will provide greatly needed assistance to staff working in the Adapted and Inclusive Recreation (AIR) Program (formerly Mainstream Resources Unit) in areas of program development, grant writing, evidence-based research and new partnership opportunities to address the needs of youth and adults with physical disabilities. The establishment of this GA position benefits AIR and the citizens of the City of Greensboro because it will help AIR/GPRD move forward in meeting the recreation needs of all citizens with and without disabilities in the local community. According to the abstract, antibiotic pollution in aquatic ecosystems has recently emerged as a threat to water quality and human health due to widespread use of these substances in human and veterinary medicine. This project will evaluate the fate and transport of a common antibiotic, sulfamethoxozole (SMX) in a small stream. Previous work detected SMX in 90 percent of streams studied in the NC Piedmont. This project will provide information on SMX retention in sediments, which determines toxicity near the point of release, and how far it travels downstream of release sites, which is important to downstream water quality. According to the abstract, “Building Student Retention through Individuated Guided coHort Training in Computer Science Researcher-Practitioner Partnership” is a small grant-size class proposal for NSF’s Computer Science for All program under the preK-8 strand, submitted by UNCG Greensboro. The RPP is a two-year project that will engage teachers, school leaders, guidance counselors and researchers to identify barriers and future work in the areas of structural, instructional and curricular improvements in middle schools to promote more black girls to gain interest and experience in computer science. This contract will support the North Carolina Preventing Underage Drinking Initiative (NC-PUDI) in its continuing efforts to prevent underage alcohol consumption and the resulting social, health and economic consequences in the state of North Carolina. The contract will support continued utilization and further development of innovative strategies to help achieve the long term goals of preventing underage drinking by building upon NC-PUDI activities. This continuing effort is designed to further support and develop Community Collaboratives working to implement environmental management strategies to prevent underage drinking. Activities will include, but not be limited to, community mobilization and law enforcement partnership efforts such as: alcohol purchase surveys, sobriety checkpoints, responsible seller/server training, media advocacy, youth empowerment and policy advocacy. Short term outcomes include increasing quality youth participation, enhancing community mobilization efforts and community/law enforcement partnerships. These short-term outcomes will be measured by collecting performance measure data from grant recipients. Long-term outcomes include reductions in youth alcohol consumption (current use, binge drinking, age of onset) and will be tracked using the North Carolina YRBS and local data, if available. Dr. Esther Leerkes (Human Development and Family Studies) received new funding from the National Institutes of Health Eunice Kennedy Shriver National Institute of Child Health and Human Development (NICHD) for the project “Biopsychosocial predictors of obesity during the first 2 years of life.” Dr. Cheryl Buehler, Dr. Susan Calkins, Dr. Laurie Gold and Dr. Lenka Shriver are co-principal investigators on the project. According to the abstract, the project will study the early development of risk for obesity in childhood. The risk for obesity in early childhood is likely determined by multiple biological, psychological, and social factors that are observable in infancy. Researchers propose a conceptual model, a biopsychosocial model, of the early development of risk for obesity that focuses on several key biological, psychological and social factors. Using an experienced team of investigators from multiple disciplines, the project will investigate this model with an innovative, multi-method, longitudinal study of infants and their families that addresses these factors across the first two years of life. The two key aims focus on understanding factors that predict infant weight gain and the ways in which this weight gain and infant’s social interactions with mothers in feeding and non-feeding contexts predict self-regulation and subsequent obesity risk at age two. The study has important implications for the development of targeted prevention and intervention programs for families and children that may be utilized early in development, prior to the onset of weight gain that is difficult to reverse. Faculty and staff are invited to be part of a Town Hall meeting on Wednesday, Sept. 12, 10 a.m.-12 noon in Virginia Dare Room, Alumni House. Chancellor Gilliam will offer brief remarks. The core of the town hall meeting will be a Q&A format. Provost Dana Dunn and Vice Chancellor of Business Affairs Charlie Maimone will both be available for questions as well. An additional Town Hall meeting for faculty and staff is scheduled for the spring semester, on Friday, Feb. 1, at 3 p.m. Also, students will have their own Town Hall meeting later this semester. Have a question for the Q&A portion of September’s Town Hall? Place your question on this form – or ask it at the meeting. The international book launch took place at the Social Work and Social Development Joint World Conference in Dublin, Ireland, in July. The workbook, co-edited by Powers and Dr. Michaela Rinkel of Hawaii Pacific University, is the second in a series of publications exploring the intersection of these two fields and beyond. Powers explains that the oppression and marginalization of groups are often related to environmental issues – natural disasters, water quality, food access, etc. “These are timely, urgent issues that we should be working on and addressing as quickly as possible,” she said. Contributing authors represent a variety of countries and academic and practice backgrounds. With the second volume, Powers and Rinkel made an effort to focus on interdisciplinary work, and to include more indigenous perspectives. The book, which includes exercises at the end of each chapter that can be built into classroom curriculum, is available for free download on the publisher’s website. Visual: l-r, Powers, former president of Ireland Mary Robinson and co-editor Michaela Rinkel. The Weatherspoon Art Museum is often referred to as one of UNC Greensboro’s gems. It’s the diversity of the artwork that stands out. And this fall is no exception. Whether you’re interested in Andy Warhol, Latin American culture or fairy tales, there’s something for everyone in the list of upcoming exhibitions below. Admission and parking are free. Learn more at weatherspoon.uncg.edu. Drawn from the museum’s collection, this exhibition – held in conjunction with the campus-wide initiative, “1960s: Exploring the Limits” – highlights various art styles and social issues that emerged in the United States during the turbulent decade of the 1960s. “Dread and Delight” brings together the work of contemporary artists who use classical fairy tales to address the complexities of our lives today. No matter their approach, each of the artists dismantles and reassembles the tales in imaginative ways – from a life-size carriage made of crystallized candy to a 1,800-foot-long braid of hair. Check out a time-lapse video of the carriage assembly below. Andy Warhol explored the relationships among artistic expression, celebrity culture and popular culture that first began in the 1960s. In a way, his singular, matchless endeavors anticipated today’s trends with Instagram, Snapchat and cell phone cameras. Three distinct bodies of work – prints, Polaroids and photographs – comprise this star-studded exhibition to underscore Warhol’s unique vision. In celebration of National Hispanic Heritage Month (Sept. 15 – Oct. 15), the museum will showcase objects from its collection by modern and contemporary artists hailing from the diverse Latin American cultures of Argentina, Brazil, Chile, Colombia, Cuba, Guatemala, Mexico, Nicaragua and Uruguay. Oscar Muñoz’s video “Re/trato” shows the artist painting a self-portrait with water. The portrait, however, evaporates and vanishes as the overhead sun and the hot pavement on which Muñoz draws absorbs the water. Thus, the artist is never able to completely finish it. Muñoz repeats the drawing process over and over again to evoke concepts like memory, the passing of time, flux and loss. UNC Greensboro is receiving a $1.2 million grant from the Edward M. Armfield, Sr. Foundation. Two grants of $600,000 each, for a Scaling Student Success program and classroom modernization, are the first of their kind from the Armfield Foundation to UNCG. UNCG has a formula for success retaining and graduating students who are members of underrepresented groups, many of whom are Pell-eligible. The university has been recognized by the Education Trust, Department of Education (DOE) and the Gates Foundation for access and success. Challenge: Current student success programs reach only a small percentage of new students each year. How can the university reach more students despite reduced state funding? Solution: Scale the formula to broaden reach by providing a coaching-based academic success program to promote higher retention, academic achievement and graduation rates for an additional 150 new freshmen each year. Key elements: trained student success coaching model, counseling and advising, cultural enrichment, etiquette dinners, writing clinics, and combining academic support with soft skills. See full story at UNCG NOW. The Weatherspoon Art Museum is one of UNCG and Greensboro’s most notable institutions. In addition to many interesting exhibits, the museum holds a variety of exciting events. These are some great events at the museum through December. Mondays: Sep 10, 17, 24; Oct 1, 8, 15, 22, 29; Nov 5, 12, 19, 26; and Dec 3, 12:30 p.m.
Thursday, Sep 6, Oct 4, and Nov 1, 6 p.m.
Tuesday, September 11, 12 p.m.
Thursday, September 13, 7 p.m.
$35 or $20 for WAM Members, Teachers, College Students. Saturday, Sept 15 + 29, 2 p.m.
Thursday, September 20, 6 p.m.
Tuesday, October 9, 12 p.m.
Thursday, October 11, 7 p.m.
Free. Elliott University Center Auditorium. Evening Tour: Dread & Delight + Fairy Tales for Adults Book Discussion. Thursday, October 18, 6 p.m.
Friday, November 2, 12-9 p.m.
Thursday, November 8, 7 p.m.
Tuesday, November 13, 12 p.m.
Thursday, November 15, 6 p.m.
Sunday, December 9, 3:30 p.m.
Tuesday, December 11, 12 p.m.
At UNC Greensboro, the study of literature can be a lived experience. This summer, four UNCG students traveled to London to attend the T.S. Eliot International Summer School, a highly prestigious program dedicated to the study of Eliot – the expatriate modernist poet, critic and dramatist who drew crowds of up to 15,000 at the peak of his career in the mid-1950s. Even non-English majors may remember Eliot’s “The Love Song of J. Alfred Prufrock” and the World War I poem “The Waste Land,” often regarded as the most influential poem of the 20th century. Eliot’s poems are behind the lyrics of the hit musical “Cats,” and his work also inspired renowned American poet and critic Randall Jarrell, who taught in UNCG’s Department of English. The Spartans who ventured to London in pursuit of a greater understanding of T.S. Eliot were accompanied by Associate Professor of English Anthony Cuda, who has been named the new director of the International School. Cuda has lectured in the program since it opened in 2009, and is one of the editors of the award-winning Eliot Editorial Project that was initiated the same year. Cuda’s appointment as executive director provides him with the opportunity to nurture a new generation of Eliot researchers and to connect them with the world’s most accomplished scholars of Eliot’s work. During the nine-day program, students and faculty not only visited some of London’s best cultural sites such as the British Museum, the National Gallery and the Globe Theatre, but also locations that appear in the work of T.S. Eliot, allowing them to trace the physical aspects of the poems in a direct page-to-life experience. They took a “Waste Land” tour of London and ventured to Little Gidding – a small town 85 miles north of London that appears prominently in Eliot’s “Four Quartets.” There they saw the 17th-century Anglican chapel that Eliot visited in 1936, and even a humble pig sty that makes a brief appearance in the poem. “In the study of literature, sometimes setting gets thrown by the wayside, but I liked seeing the ways Eliot was in touch with geographical space, living and vibrant,” said Kayla Forrest, whose dissertation work is focused on how geographical spaces are viewed and translated through literature. Forrest looks forward to bringing that lived experience to her writing students this fall. This year, the T.S. Eliot International School hosted students from more than nine different countries, including France, Russia, Italy, Romania, India and Korea. The global diversity has been typical for the school since the beginning, which is fitting because, according to Cuda and other scholars of modern literature, Eliot’s work has a distinctly global quality. Eliot was born in Missouri, went to school in New England, but lived the latter half of his life as a British citizen. Residing in the cultural capital of London put him in touch with a variety of scholars and artists across Europe and beyond. Being able to work alongside Eliot scholars from countries across the globe allowed the UNCG students ‒ including two undergraduates ‒ to engage in informed discussions concerning translation, and also contemplate universal questions within Eliot’s poetry through an international lens. UNCG students who attended the T.S. Eliot International Summer School received funding from UNCG’s International Programs Center, the College of Arts and Sciences and the Department of English. For more information about the T. S. Eliot International Summer School, contact Cuda at ajcuda@uncg.edu or visit the program website. Dr. Sally Koerner spoke to Inside Science about drought in South Africa’s Kruger National Park. The piece. Fox8 featured Tim Johnson and multiple students in their story on the construction of Studio 91 at the renovated Cone Residence Hall. Dr. Keith Debbage spoke to Journal Now for a piece about promoting regionalism in the Triad. The article. Chancellor Gilliam spoke to the News & Record about the construction of UNCG’s new Nursing and Instructional Building for a piece on construction projects in Greensboro’s colleges. The story. Triad Business Journal spoke to Dr. Stanley Faeth about UNCG’s award for bringing underrepresented groups into STEM programs. The article. Alianza is UNC Greensboro’s faculty and staff organization for Latinx and Hispanic issues. Since 2013, UNC Greensboro’s Alianza has been a gathering point for university employees who are interested in collaborating around issues that impact Hispanic/Latino staff, initiatives that enhance activity on campus related to the Hispanic/Latino cultures and communities – and they also serve as a network to support prospect and enrolled students. UNCG Alianza is inviting the entire campus community to join them at their Social Events for the school year 2018-19. Friday, September 14, 2018. 2 – 4 pm. Alianza Fall Open House. MHRA Building, 3rd floor faculty lounge, Room 3501. Sign up for volunteer opportunities and light refreshments will be provided. Friday, February 1, 2019. 11:00 am – 1:00 pm. Alianza Spring Open House. MHRA Building, 3rd floor faculty lounge, Room 3501 Sign up for volunteer opportunities and light refreshments will be provided. Our school colors, blue and gold, are great as part of your wardrobe anytime. Especially Fridays here on campus. And especially this Friday. Friday, Aug 31, is national College Colors Day. Take a shot of yourself – or your office or department – showing colorful school spirit. As you post your photos on social media, use the hashtag #letsgoG. That allows other to further share the great photos. Visual: The Spartans Night at the Ballpark, last Friday, was another great Friday to wear school colors. UNCG University Libraries presents a webinar series on “Online Learning and Innovation.” This webinar series is for UNCG faculty, instructors, librarians, graduate students, TAs and staff interested in learning more about instructional technology and online learning at UNCG. Topics include online learning pedagogies, UNCG instructional technology tools (Canvas, Google, Box, etc) and more. Sessions for Fall 2018 include Canvas and Quality Matters; Creating Interactive, Accessible, Free Tutorials: H5P; Canvas ARC; and Making Images Accessible with Alternative Text. Visit http://uncg.libguides.com/webinars/onlinelearning to register or for more information. The person selected may be distinguished in any number of areas: humanities, sciences, arts, public service, and education, to name a few. Those currently holding public office in the state and the permanent staff of our state universities are not eligible. The achievements may vary in scope from prominence on the international or professional scene to vital contributions to the University, North Carolina, and beyond. A previous connection to the University or state is not mandatory but is considered a strength. In order for you to have an idea of the persons who have received Honorary Degrees, we invite you to examine the names of awardees from past years: Mansukh C. Wani, William Mangum (2017); William Black, Harold Schiffman (2016); Timothy Rice (2015); Norman Anderson (2013); Bonnie McElveen-Hunter (2012); Thomas Haggai (2011); Margaret Maron (2010); Rebecca Lloyd, Nido Qubein (2009); Fred Chappell, Tom Ross, Kay Yow (2008); Irvin Belk, Betty Ray McCain, Edwin S. Melvin (2007); Molly Broad, Henry Frye, Shirley Frye (2006); Muriel Siebert (2005); Jim Hunt (2004); Jaylee Mead (2003); Michael B. Fleming, Stanley Frank (2002); Kenneth L. Adelman, Bonnie Angelo, Jean Brooks (2001); Erskine Bowles (2000); Maud Gatewood, Eloise R. Lewis (1999); Carolyn R. Ferree, Calvin Trillin (1998); Mary Ellen Rudin, LeRoy T. Walker (1995); T. James Crawford (1994); Maya Angelou (1993). The committee asks that initially you submit candidates on the Honorary Degree Candidate Nomination Form, along with biographical information. After the first screening, we may request additional information. Please keep in mind the need for confidentiality, as candidates should not be aware that they are being considered. The deadline for nominations is Wednesday, November 7, 2018. Please send the completed nomination form to Jennifer Johnson, assistant to the provost, at jennyjojohnson@uncg.edu or the University Committee on Honorary Degrees, Office of the Provost, 201 Mossman Building. It should be a memorable evening. Titled “Bilal’s Songs: Mixing and Re-Mixing the African Diaspora and Islamic World – A conversation with Rhiannon Giddens, Dr. Omar Ali, and Francesco Turrisi,” the event will be held Monday, Sept. 10, 6-8 p.m., in the EUC Auditorium at UNCG. Admission is free and the public is welcome to attend. The event comes in the wake of the North Carolina Folk Festival and will further delve into the ways in which African Americans have shaped musical traditions here and are the products of multiple traditions, including Muslim-influenced cultures and people from across the world. Giddens, a UNCG alumna, is a Grammy winning musician and recipient of the MacArthur Fellowship. Her solo music and her music with the Carolina Chocolate Drops has explored black musical history. Ali, dean of UNCG’s Lloyd International Honors College and professor of Comparative African Diaspora History, explores the making of the African Diaspora in the Atlantic and Indian Ocean worlds from the early modern period to the present. Turrisi, a pianist and multi-instrumentalist described as a “musical alchemist” and a “musical polyglot,” will perform with Giddens at the NC Folk Festival. The three will be exploring the intersection of the global African Diaspora and Islam musically and otherwise. In particular they’ll be looking at the ways in which music has transmitted and transformed the cultures and sensibilities of Africans and people of African descent, among others, in Muslim influenced lands and societies. 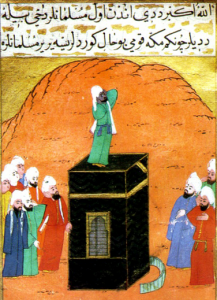 “We’ll begin our journey in Arabia with Bilal Ibn Rabah, the first muezzin (person who calls Muslims to prayer), and journey across East Africa, the Maghreb, into the Mediterranean, and Iberia, before moving to the shores of the Americas,” says Ali. The event is sponsored by UNCG Lloyd International Honors College, UNCG’s Islamic Studies Research Network, UNCG’s African American and African Diaspora Studies Program. Visual: a 16th-century painting of Bilal Ibn Rabah appearing in the Siyer i-Nibei Turkish epic. The visual appears in an online exhibition Omar Ali curated at the Schomburg Center for Research in Black Culture of The New York Public Library. This is a call for nominations. The Undergraduate Research, Scholarship and Creativity Office (URSCO) requests nominations of outstanding UNCG faculty mentors for the Thomas Undergraduate Research Mentor Awards. We seek to recognize both pre-tenured (early career) and tenured (career) faculty for their efforts to engage undergraduates in experiential learning through research. The 2019 Thomas Undergraduate Research Mentor Awardees will be acknowledged during the 13 th Annual Carolyn and Norwood Thomas Undergraduate Research and Creativity Expo, which will be held on April 4, and presented during UNCG Faculty and Staff Excellence Awards Ceremony at the end of the spring semester. These honors will include a plaque and $1,000 to support activities related to research and/or creative inquiry as it involves undergraduates during the following academic year. Eligibility: UNCG faculty members with experience mentoring UNCG undergraduate students in projects that contribute to their disciplinary scholarship are eligible for this award. Nominees should hold a terminal degree in their discipline. The faculty member must have mentored at least five UNCG undergraduate students in research and/or creative inquiry. Prior recipients can be reconsidered after a three-year interlude. Nomination Process: A faculty member must be nominated for the Thomas Undergraduate Research Mentor Awards by their Department/Program Chair/Head. The nomination will consist of: 1) letter of nomination from the Chair/Head, 2) the nominee’s C.V., 3) brief letters of support from two students mentored by the faculty member (two-page max), and 4) a teaching/research statement from the mentor (two-page max). Number of Nominations per Department: Only one nominee per category per department/program will be accepted. The Department/Program Chair/Head must submit the nomination. Important Deadlines: The DEADLINE for complete nomination packages is October 31. Questions: Questions should be addressed to Lee Phillips, (plphilli@uncg.edu or 336-334-4622). Additional reminder: Board of Governors & Alumni Teaching Excellence Awards Nomination closes today (Wednesday, August 29). The event “Familiar Faces, Unexpected Places: A Global African Diaspora Documentary Film Screening & Public Conversation” will be held next week. The screening and discussion will be held Tuesday, September 4, 6-8 pm International Civil Rights Center & Museum 134 South Elm Street. The film is by Sheila S. Walker. 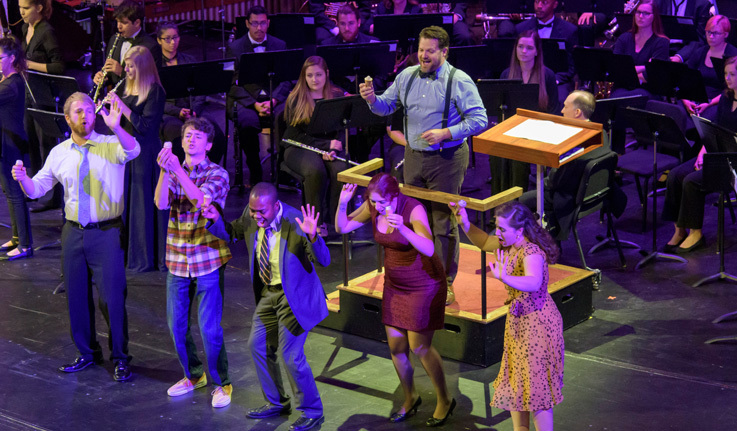 UNCG School of Music’s 11th annual Collage performance, one of the most popular events each year, will grace the UNCG Auditorium stage – and many areas of the concert hall – September 8. Collage is a unique event, put on by over 300 School of Music students and many of the school’s faculty. The performance flow one into the other, non-stop, in various locations in the auditorium, presenting a great variety of works. No matter your preferred kind of performing arts, there’s sure to be something for you. This year, Collage: Bernstein at 100 celebrates the work of one of the most iconic American musicians, Leonard Bernstein. From “West Side Story” to the New York Philharmonic, to the fall of the Berlin Wall, Bernstein touched nearly every aspect of 20th century life, in both America and worldwide. Join the School of Music as they host a tribute to his legacy. Collage sells out every year, so make sure to secure your tickets in advance. All proceeds from the event go towards the funding of scholarships for the School of Music. For more information, see the page on the CVPA website here. The stars will be on full display this semester in both the UNCG Planetarium and the Three College Observatory. Reservations are needed to see shows in either location. For more information about the public nights and to reserve seats, visit the Physics Department website at physics.uncg.edu. UNC Greensboro has received the 2018 Inspiring Programs in STEM Award from INSIGHT Into Diversity magazine, the largest and oldest diversity and inclusion publication in higher education. The Inspiring Programs in STEM Award honors colleges and universities that encourage and assist students from underrepresented groups to enter the fields of science, technology, engineering and mathematics (STEM). Inspiring Programs in STEM Award winners were selected by INSIGHT Into Diversity based on efforts to inspire and encourage a new generation of young people to consider careers in STEM through mentoring, teaching, research and successful programs and initiatives. This Friday, August 24, is UNC Greensboro Fan Appreciation Night with the Greensboro Grasshoppers, with a lot in store for Spartans. 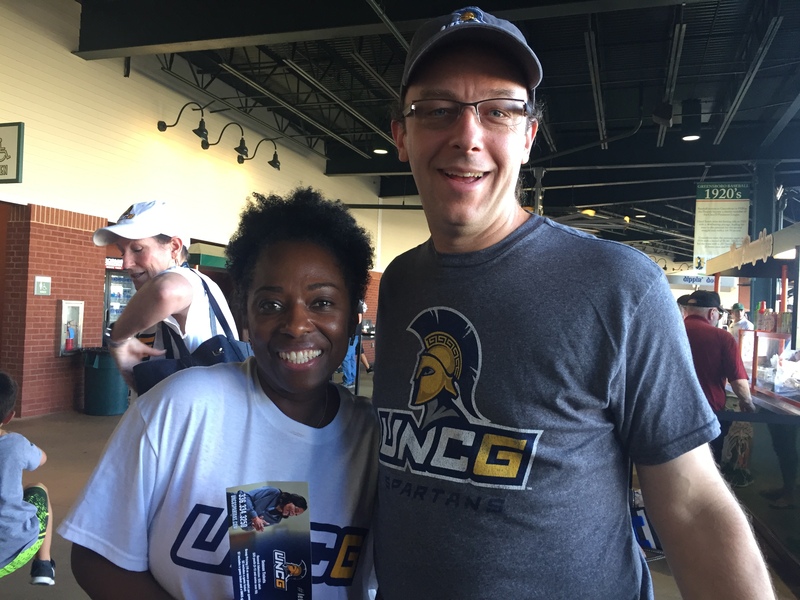 You’ll see UNCG coaches throwing out the first pitch, the Bands of Sparta pep band, plenty of Spartan giveaways, the UNCG Spartones singing the National Anthem and Chancellor Gilliam with “Take Me Out To the Ballgame” at the 7th inning stretch. Fireworks are scheduled immediately after the game. Discounted tickets can be purchased by UNCG students, faculty and staff for $8. The discount is only honored via ticket orders on the website https://groupmatics.events/event/UNCGNight. The website will close at 5 p.m. on Aug. 24. For more information about the Greensboro Grasshoppers and First National Bank Field, visit the website. Food at First National Bank Field is now in-house and led by Bryan School alumnus Drew Gill ’96. Read more about his career path and his plans for the Grasshoppers’ stadium food here. Provost Dunn and the Board of Governors/Alumni Teaching Excellence Awards Committee invite members of the UNCG community to nominate individuals for the 2018-2019 Board of Governors Award for Excellence in Teaching, or for one of three Alumni Teaching Excellence Awards described below. Recipients of these awards receive an honorarium and university-wide or, in the case of the Board of Governors award, state-wide recognition. Self-nominations are encouraged. Click here for the nomination form. Eligible faculty members who received a 2017-2018 teaching award from their School or College will be nominated automatically. The nomination period closes Wednesday, August 29. Nominees will be reviewed to ensure basic criteria are met. Eligible nominees will be invited to submit dossiers. Completed dossiers are due by 5pm Monday, October 22, 2018. Award recipients will be notified in spring 2019. The dossier cover sheet and submission instructions are available at the BOG / ATEA Site. UNC Board of Governors Excellence in Teaching Award (for Tenured Faculty) is open to tenured faculty members who have completed at least seven years of teaching at UNCG. The BOG Award is the highest post-secondary award in the state and carries the expectation that applicants will be exceptional teachers who have extended their pedagogical activities beyond the classroom. The award recognizes outstanding teaching (including online or blended instruction, mentorship and educational service) that has resulted in the advancement of the profession. The Board of Governors presents one faculty member from each UNC school with this award every year. The award brings statewide recognition. Mary Settle Sharp Alumni Teaching Excellence Award (for Tenured Faculty) is open to tenured faculty members who have completed at least three years of teaching at UNCG. The award recognizes outstanding teaching (including online or blended instruction, and mentorship) at UNCG. James Y. Joyner Alumni Teaching Excellence Award (for Untenured, Tenure-Track Faculty) is open to untenured, tenure-track faculty members who have completed at least three years of teaching at UNCG. The award recognizes outstanding teaching (including online or blended instruction, and mentorship) at UNCG. Anna Maria Gove Alumni Teaching Excellence Award (for Non-Tenure-Track Faculty) is open to any full-time non-tenure-track faculty member (lecturer, academic professional, clinical faculty, etc.) who has completed at least three years of teaching at UNCG. The award recognizes outstanding teaching (including online or blended instruction) at UNCG. Those with questions may contact: Marisa Gonzalez at (teach_xl@uncg.edu). New name: The Department of Geography is now the Department of Geography, Environment and Sustainability (GES). Have news from your department or school? Let us know. Starting early next week, many on campus will likely hear the sounds of blasting at the Nursing and Instructional Building construction site. Dealing with granite bedrock entails explosives. The first blast is scheduled for Monday, August 27, at 3:15 p.m. The blasting will occur only one or two days a week – every third or fourth business day. Horns and a siren will sound to alert people. As a warning before each blast, a siren will sound 5 minutes pre-blast, 1-minute pre-blast, immediately before the blast – and there will be one siren sound post-blast once the site has been cleared by the blaster. Each sound of the siren will last approximately 30 seconds. Construction workers and UNCG Police will limit pedestrian traffic around the blast zone 15 minutes prior to each blast. On days when there will be blasting, it will occur at either 3 p.m. (if Tuesday or Thursday) or 3:15 p.m. (if Monday, Wednesday or Friday). The blasting will end in about 6-8 weeks. This post may have updates as Campus Weekly receives additional information. More details about the construction and the new building may be found at https://facdc.uncg.edu/nursing. The Starfish technology is now available to all instructors, academic support staff and students for the fall semester. Starfish is an early-alert system that allows UNCG to take a more holistic approach to student success. Starfish allows instructors, advisors, and other staff members to track student progress and remain in the loop about their shared students. Users can log into Starfish at starfish.uncg.edu. NEW Communication Plan for flagged students: Students who are issued academic flags and/or kudos via Starfish will now receive email communication addressed from their course instructors. This change was implemented as a result of consistent feedback received from faculty and instructors at UNCG. This update to email communication will further personalize the correspondence that students receive and enhance engagement with their course instructors. Instructors may reference the Starfish for Faculty & Instructors webpage to see sample email templates. Previously, these emails were addressed from the Students First Office. Starfish Referrals: Starfish offers instructors and academic support staff several referral options for directing students to helpful campus resources. Raising a referral will simultaneously alert the student to take action and notify the service provider of the referral. New referral options are available this fall for the Students First Office (SFO) and International Student & Scholar Services (ISSS). Starfish Training for Faculty and Staff: Starfish 101 workshops are available throughout the semester to help new users learn how to navigate basic Starfish features. Workshop details and sign-ups can be accessed at workshops.uncg.edu. New to Starfish? Here is some information on how UNCG currently uses this technology. Instructors, staff, and students may refer to the Starfish website for more information about Starfish. Technical support requests can be emailed to starfish@uncg.edu. UNCG’s General Education Council invites faculty, staff and students to participate in the General Education Program Assessment Results Forums scheduled to be held in the Faculty Center on Tuesday, August 28, from 10 am to noon, and in 2711 MHRA on Wednesday, August 29, from noon – 2:00 pm. Council members will present and lead discussion of results from the fall 2018 assessment of the Historical Perspectives (GHP) and the Reasoning & Discourse (GRD) categories. The General Education Program provides the foundation for the more specialized knowledge gained in a major. Because the program belongs to the entire university, everyone’s input is vital to its improvement. For 2018-19, the Global Engagement Office has up to $25,000 in Global Engagement Course Development Award funding available for faculty to create or revise courses incorporating the four Global Engagement SLOs. Awards range from $500 (revised course) to $1,000 (new course or series of courses). The Fall 2019 deadlines to apply are September 14 and October 19. 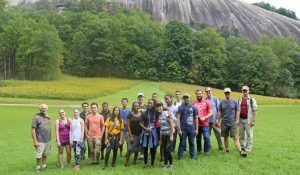 The goal is that by supporting faculty as they incorporate more global themes into their courses, students will graduate from UNCG with the skills necessary to thrive in an increasingly global world. High saturated fat diets physically alter the way we think about food. They wreck the brain’s pleasure center, requiring ever more saturated fat to elicit the same level of enjoyment. Assistant professor Steven Fordahl is determining how and why that wreckage occurs. Fordahl explores the flow of neurotransmitters in the brain to identify the causes of – and potentially treatments for – obesity. Obesity is one of the fastest growing public health concerns in America. According to the Centers for Disease Control and Prevention, it affects over one-third of our population. To better understand obesity’s dominance over the brain, Fordahl measures real-time neurotransmission in response to food intake. The technique is typically used to map neural circuitry, but Fordahl, who joined UNC Greensboro’s Department of Nutrition last year, uses it to illustrate the profound effect that dietary choices have on normal brain function. Fordahl’s work builds upon research conducted during his postdoc, which found that the brain responds differently to various types of dietary fat. He says an ideal diet limits saturated fat in favor of mono- and poly-unsaturated fats. The combination helps the brain control appetite, leading to less potential for overeating. As we consume food, the brain releases the neurotransmitter dopamine as a messenger to the central nervous system. The dopamine activates specific neural circuits to tell us we are full and feel content. During his postdoc, Fordahl measured dopamine neurotransmission in response to diets high in saturated fat and found significant reductions in regular dopamine message delivery. Over the past year Fordahl’s research group at UNCG has sought to further understand how saturated fat takes control of these normal brain functions. He is examining whether immune system proteins, called cytokines, change dopamine signaling in the brain as a result of a poor diet. When fat tissue expands, it triggers the release of cytokines, which contributes to the development of insulin resistance and – if activation of the immune system is prolonged – diseases like diabetes. Fordahl wants to know if the same inflammatory immune response alters dopamine’s control over feelings of fullness, potentially accelerating obesity and other disease progression. To get a clear picture of the relationship between food choice and immune response, Fordahl is measuring cytokine levels in dopamine-rich areas of the brain under different dietary conditions. Fordahl’s results already have important implications for obesity prevention. 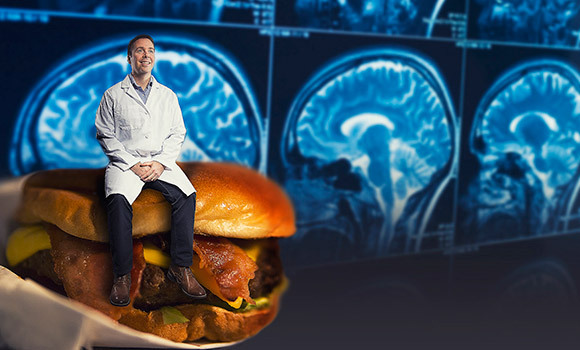 As he digs deeper into how saturated fats reprogram the brain, he ultimately hopes to discover how to reverse the whole process and restore the body back to health. This text originally appeared in the spring edition of UNCG Research Magazine. Interested in teaching online or improving your knowledge of online education? Visit readytoteach.uncg.edu, a free resource developed by UNCG Online to help university level instructors and teaching assistants plan, develop, teach, and evaluate online courses. Ready to Teach reflects national best practices in instructional design, online teaching, and educational research. Each of the four modules takes about 30 minutes to complete and begins with a video of experienced UNCG instructors sharing their insights for teaching online. Modules include evidence-based strategies, brief exercises, and downloadable templates. A quiz concludes each module, and a certificate can be earned by passing the cumulative exam. To learn more, contact readytoteach@uncg.edu.